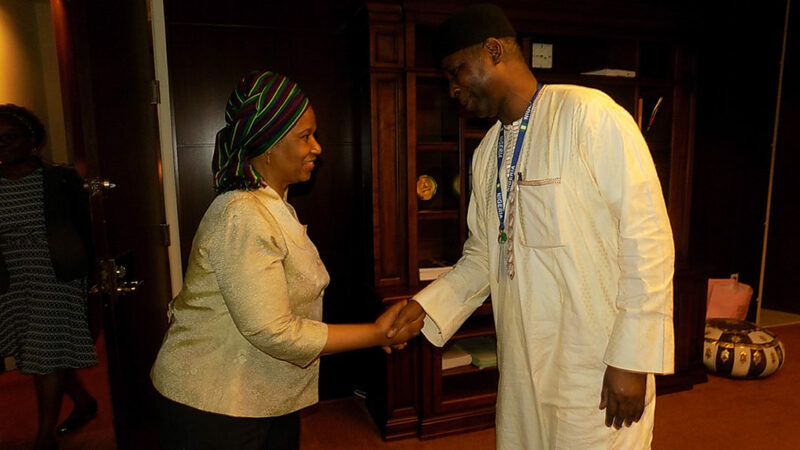 Mlambo-Ngcuka had visited Nigeria in July alongside UN Deputy Secretary-General Amina Mohammed to push ways to address the many challenges confronting girls and women in the country. She said: “We also were in Nigeria to discuss the issue of women’s participation in politics. “We were also in Nigeria for how we need to increase the number of women participation in politics in the next elections and the strategies to do that”. According to her, the next step for UN Women in the area of women participation is helping to support the women who want to run in different parts of the country to prepare. Mlambo-Ngcuka pledged the support of the UN women agency in this regard, saying the men do a lot to position themselves. “So we will be working with other civil society,” the UN Women chief said. According to her, she was at the Nigerian Mission to give the Ambassador feedback on the visit to Nigeria. She added that the briefing also included the progress the UN Women was making in Nigeria and the progress that Nigeria was making at the time of the visit. “We were able to renew our commitment to support girls that were affected by the abductions – the Chibok girls in particular. “We were also able to look at the women and girls who were in the internally displaced persons’ camps and their conditions. “This is to make sure that we address any violations of their rights that may happen. The government has already taken steps to address that, which we appreciate,” she said. Mlambo-Ngcuka explained that the UN agency was also doing a lot in the area of women peace and security in general in the country. “So it’s also supporting the different initiatives that government has in addressing the safety of women, including safe schools. So we were able to discuss the next steps. She said the agency’s tactics was to join the activities of government to increase the awareness of the communities to what creates insecurity for the girls. She added UN Women would also support the girls that had come back from Boko Haram abduction to de-stigmatise and to ensure their successful integration. She commended Vice President Yemi Osinbajo for the way he handled the affairs of the country during the period he was in the saddle as the Acting President. “When we were in Nigeria, we met with then Acting President and we really found each other on the same page and that’s why already we are seeing some follow-up. “This includes the fact that he is a ‘HeForShe’ and he’s then committed to relaunching the ‘HeForShe’. “We will relaunch the ‘HeForShe’ now with the President – Muhammadu Buhari,” the UN Women chief said. ‘HeForShe’ is a solidarity campaign for the advancement of women initiated by UN Women. Its goal is to engage men and boys as agents of change by encouraging them to take action against negative inequalities faced by women and girls.